I went LIVE on Facebook today with this simple tip for #wellnessWednesday – follow me here to catch a new tip each week! Here’s the replay – transcript below if you prefer reading! 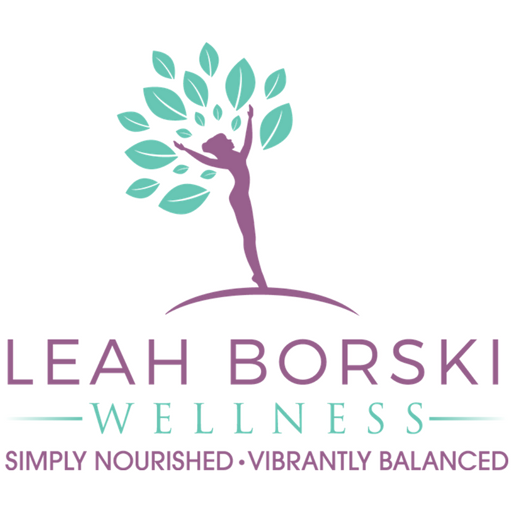 Hi I’m Leah Borski with Leah Borski Wellness. I’m the best-selling author of the book, “Eat to Beat Stress” and a wellness & success habits consultant for ambitious women. I wanted to come on quickly today to share with you a simple wellness tip, and it really does affect our bottom line. Statistically, this one thing causes billions of dollars of revenue loss in the corporate world every year. Of course, we’re not corporations. We’re our own small business owners. So really, this has the potential to affect us even more so because most of us are working as solopreneurs, on our own. We don’t have the excess bodies and brains and resources to pick up the slack if we can’t function efficiently in our businesses from day to day. So the thing that happens very commonly every single year that we need to be aware of is the cold and flu season. It literally impacts business in so many different ways. It will impact our businesses and our bottom line if we don’t find a way to prevent that from happening to us or managing it once it does. The biggest thing that I see is people not realizing that there is something that we can do to prevent it. We typically think that we’ll go get our flu shots and that’s all we can do, and ‘good luck’ because the flu shot is kind of a crapshoot. They never know what exact virus will be going around, so they don’t know exactly what virus to protect us against, and so, really, that’s not the best method. I don’t say that to discount modern medicine. I totally believe in modern medicine- I worked in the medical field myself for 7 years before branching off and starting my own consulting business helping women with wellness practices. But I do believe that there is not enough preventive in modern medicine, and so it takes a very REactive approach. I don’t believe that’s always the best approach. I like to look at things from more of a holistic, preventive measures always, natural remedies as much as possible. We have enough chemicals and toxins and all kinds of other things kind of coming at us from everywhere just in our environment and our food and everything else. That’s a whole other topic for another day! But today, I’m talking about cold and flu season and what we can do to protect ourselves and take care of ourselves so that it does not affect our bottom line. So there are certain things that we can do boost our immunity – foods we can eat, supplements we can take. I am actually creating a specific module totally about this inside of my membership group, Simple Habits for Success, and I’m taking appointments with women this week and next week to see if this is a good fit – to see if it feels like this is something you could use to help your productivity and feeling good as you’re building success in your business. Schedule your 30-minute tea-time chat with me here! I do want to share a quick preventive measure with you that you can use right away. This is a supplement that I normally take as soon as I feel a bug coming on. So if I start feeling sniffly, extra tired for no apparent reason, or a tickle in my throat, those sorts of things, because I know those signs mean something got me and I’m about to be sick! So my favorite for this is elderberry syrup. You’ve probably heard of this. If you haven’t, now is the time to get started using this. I am very particular about getting stuff without excess sugars or artificial sweeteners, so this one is just honey, water, citric acid, and then just the elderberry juice. As natural as possible is what we want. There are a lot of brands that are super expensive and are mostly sugar, hardly any elderberry, and you’re not going to get the benefit from that. And, you’re adding extra sugar where you don’t need it. It’s very important to pay attention to labels and very simple. This is something I take as soon as I feel something coming on. Typically, if I catch it soon enough, like within the first 2 days, it will completely pass. I’ll have like a couple of days of sniffly and then it just goes away. And if it doesn’t do that, it will at least shorten the duration of your cold. This is something you want to have in your fridge right now so that when that happens you can take it right away. It’s really difficult when you’re already feeling sick and then you’re scrambling trying to find some or even remember what it is that you want to do to make it stop right now. This is ok for kids too, which is great. But, the fact that I get the kind that doesn’t have any sugar added means that my kids are not super big fans, they don’t love the taste of this one. So I found these capsules that are a great alternative for them. They don’t have to taste it but they still get the benefits. I believe you can get these in gummies also for smaller kids who can’t swallow a whole capsule. So this is one super simple way to be prepared and make sure that you are not losing productivity in your business in the coming months! Between the combination of weather, plus added stress from changing = this is a big time of year where things are shifting and changing, people’s kids are going back to school, we’re digging back deeper into our businesses after having maybe some break time over the summer, all these different things. Then the holidays come in and slam us right on top of that, so it’s no wonder that everybody starts getting sick, in addition to it’s just the natural time for the germs to start festering around. So this is one way you can use to stop that in its tracks right away as soon as you feel it start to happen. As I mentioned, I have a module coming up in my membership group that is a deep-dive into foods and nutrients and supplements to start now and to support yourself throughout this season without getting sick and continue to feel really good as you’re working in your business, connecting with your family, and doing everything else that’s important to you.